Welcome back to Channel Chaser! So if you’ll recall a few weeks ago, I told all of you about some new shows that I planned to watch out for this fall. Well, now I’m back with the verdict, on some of them at least. While I haven’t had the time to keep up with every single show that came on recently, a few of them have caught my eye. Let’s see which shows are going to succeed, and which may not get another season. The critical consensus right now seems to be that Gotham is the best thing since sliced bread as far as TV is concerned. I’ll agree that the show has a lot of things going for it, but I’m not quite sold yet. As with all of these shows, the season’s not over yet, so who knows what will happen between now and then, but there’s a few things that just really bug me. For one thing, while the Penguin for me is the best thing about Gotham so far, I don’t think that his back-story was explained well enough to make him a totally credible villain. Speaking of villains, I got over Jada Pinkett Smith’s Fish Mooney really, really quickly. Why couldn’t we delve into Carmine Falcone, a real Batman bad guy, a little more instead of wasting time with a character that’s not even in the comics? Also, on the hero side of things, Jim Gordon’s diatribes about honor and justice get old pretty fast, too. 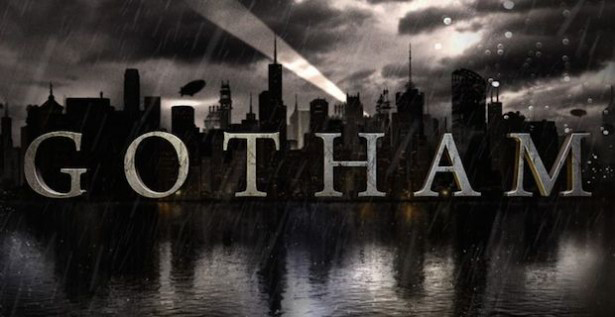 All complaining aside, Gotham has just the right blend of noir-cop thriller and superhero fantasy, as well as strong performances by most of the actors involved, to keep it going for a while. I’m not sure if FOX can keep it up for the long haul, but it’s certainly worth a try. Honestly, I’m in love with this new superhero series. 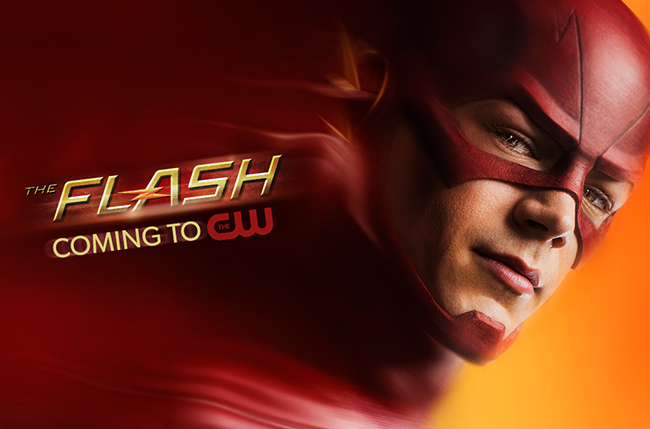 The Flash hit the ground running with its blockbuster pilot and hasn’t stopped since. Grant Gustin’s Barry Allen has just the right balance of academic and man of action, with a little newfound confidence thrown in, to make him the better version of Peter Parker. And let’s face it: Flash is a way cooler hero than Spider-Man. Also, I’m a sucker for a good time-travel story, and the show strongly features some kind of weird conspiracy from the future regarding the Flash’s destiny as a hero and the eventual appearance (we’re assuming) from his arch-nemesis the Reverse Flash. There’s more than enough action and intrigue in this series to keep me interested, and I sincerely hope it catches on like Arrow has. While Gracepoint has a lot of potential, I personally have yet to be thrilled by FOX’s new crime drama. This may be because it closely mirrors its source material in the BBC’s Broadchurch–as in, a shot-for-shot remake in some cases. For me, the highlight of the show so far hasn’t so much been the murder mystery, but rather the interplay between David Tennant and Anna Gunn as they clash over their completely opposite approaches to the case. I’m more partial toward Tennant right now, though: while his methods and demeanor are obviously somewhat more abrasive and harsh than the small-town residents of Gracepoint can handle, sometimes I think Ellie Miller’s arguments for humanity and understanding are a bit too naïve for a real cop. Which kind of makes me suspect her a little. So that’s good, I guess. 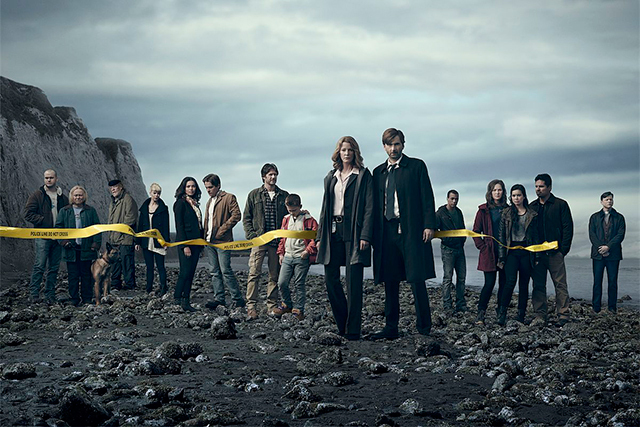 Overall, Gracepoint is a decent way to kill an hour, but it’s far from where it could be and I doubt we’ll be seeing another season, even if they don’t solve the murder in this one. Okay, so Supernatural is now on its tenth season and therefore doesn’t exactly qualify as a “new” show, but I just had to talk about it. This is mostly because so far, the CW is once again hitting it out of the park. Supernatural has been progressively getting better with each new season released, and last year’s massive twist of making Dean a demon promises to be the highlight of this fall’s run. Watching Dean and Crowley’s relationship develop into a complicated kind of bromance has been really, really entertaining, and so has been seeing Dean finally cut loose and let go of all his responsibilities. Also, because of the demon thing, Sam and Dean’s brotherly bonds are obviously going to be pushed to the limit this season–especially because Dean clearly likes being a demon and doesn’t want to go back to his old life, even if it were possible. Strangely, the main disappointment in the show has been the storyline of perennial favorite Castiel. While he’s running around with the other angels right now trying to undo the damage Metatron caused last season and keep himself from dying, I’m just not that interested unless he gets more involved with solving Dean’s problem. 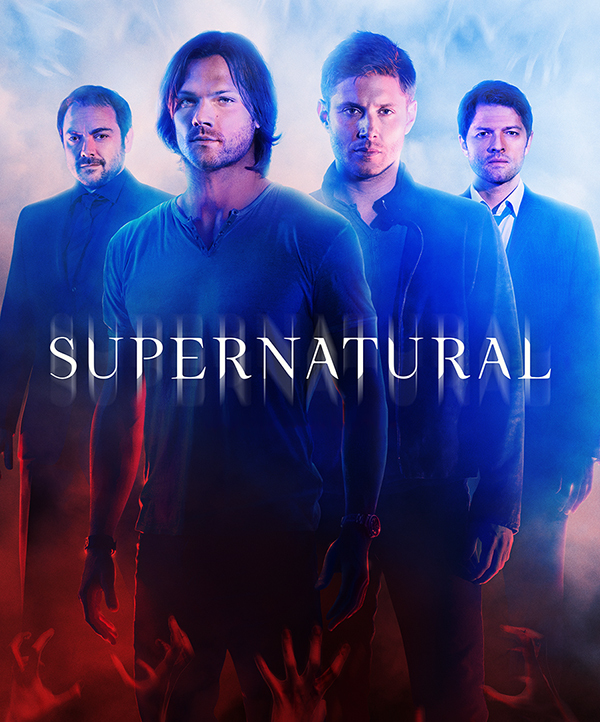 Who knows where Supernatural will go after this season, but this one is shaping up to be one of the best yet. Again, I realize that this is, strictly speaking, neither a fall show nor a new one, but I just had to throw in my thoughts on Doctor Who’s new series. It took me a really long time to get over the departure of Matt Smith–my personal favorite Doctor–but now that I have, I’m realizing that Peter Capaldi is pretty good. Actually, scratchthat–he’s VERY good. After a shaky start that was mostly made so due to the polar opposition of Capaldi and Smith’s personalities, each episode has added dimensions to this “grumpy old man” Doctor and also allowed Jenna Coleman’s Clara to expand on hers. With Clara apparently leaving the Doctor at the end of this series, it remains to be seen how things with her will be wrapped up, but I can definitely say I’m looking forward to seeing more of Peter Capaldi in the future. 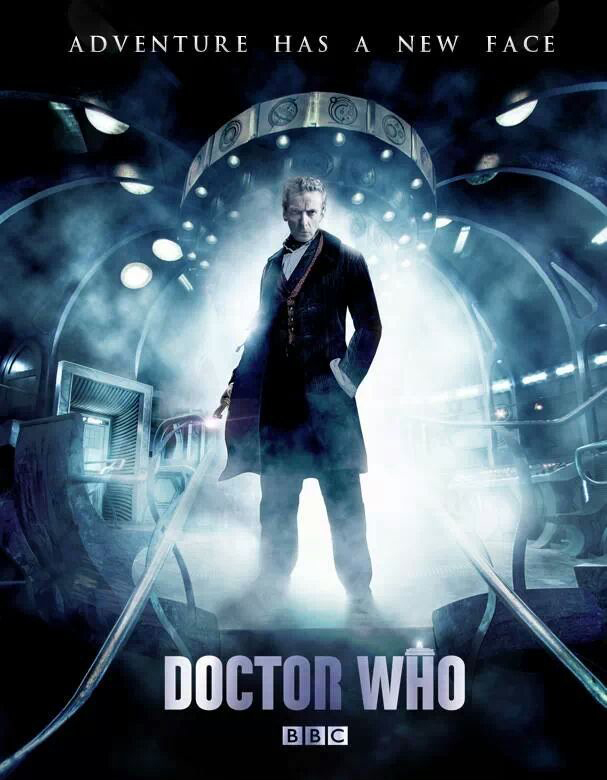 He’s been doing a very good job bringing Doctor Who back to its roots and away from the increasingly goofy direction that David Tennant and Matt Smith took it. The Doctor is once again an aloof, intellectual enigma–and that’s just the way it should be.